Although they probably didn't maintain any pretense of security, Verizon customers will be bummed to know that a duo of security experts have discovered how to hack into the carrier's network extending base stations and turn them into little spy centers. The news comes just a couple of months after the world learned that the National Security Agency was spying on every single Verizon customer in the United States. 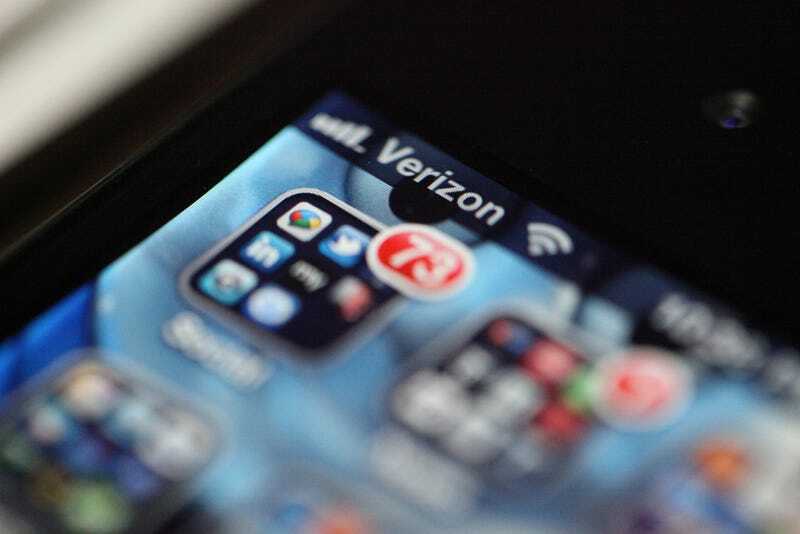 Should you worry about your wireless security if you're a Verizon customer? Nah, says Verizon. Yes definitely, says common sense. This latest hack is a pretty standard run-of-the-mill gotcha. That means some cybersecurity experts found a hole in a big company's software that could lead to some trouble if hackers found it, too. So they went ahead and hacked it (for the forces of good! ), and then they went on a mini conference tour to tell everybody about the problem. They also swear that this project has anything to do with the famously awful NSA revelation from earlier this summer. "This is not about how the NSA would attack ordinary people," said Thomas Ritter, one of the security experts. "This is about how ordinary people would attack ordinary people." Well, thank God. Unfortunately, the government can surely exploit the same vulnerabilities as black hat hackers. While Verizon now says it's fixed the specific vulnerability that offered hackers access to user data through network extender stations known as femtocells, the security experts warn that more holes exist not only in Verizon's network but some 30 other carriers across the country. And any hackers that spotted the femtocell vulnerability before Verizon pushed the update that closed the loophole still have access to the network since they broke in before the patch. So good luck feeling secure for now, Verizon customers! Indeed, Verizon hosts all kinds of security vulnerabilities from month-to-month. Before the femtocell hack, there was not only the NSA breach but also a number of individual hacks, including one that led to the data of some 3 million customers being compromised. That followed the circulation of instructions for how to hack into Verizon base stations, in some cases, for parents to spy on their kids. Even if you're not directly affected by Verizon's bad luck with security, you'd better be aware of how vulnerable the many networks that rule our lives are. And at the end of the day, we now know that if the hackers aren't listening, the government is.